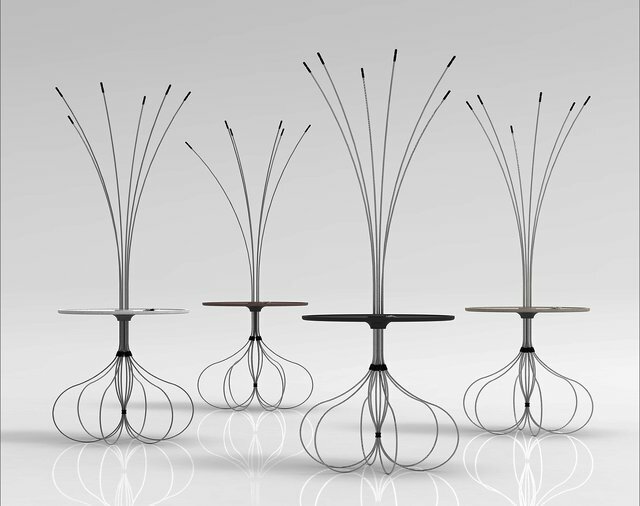 Onion is designed for competition made by Czech steel parts producing company. The task was simple, choose any material they produce and design a piece of furniture from it. First of all I was thinking why should I choose some of the products and I discovered there are no products made from the steel wires on whole market. Maybe because it is so flexible and unstable. And that was the task for me, how to create something static, by using the flexibility of the steel wires. 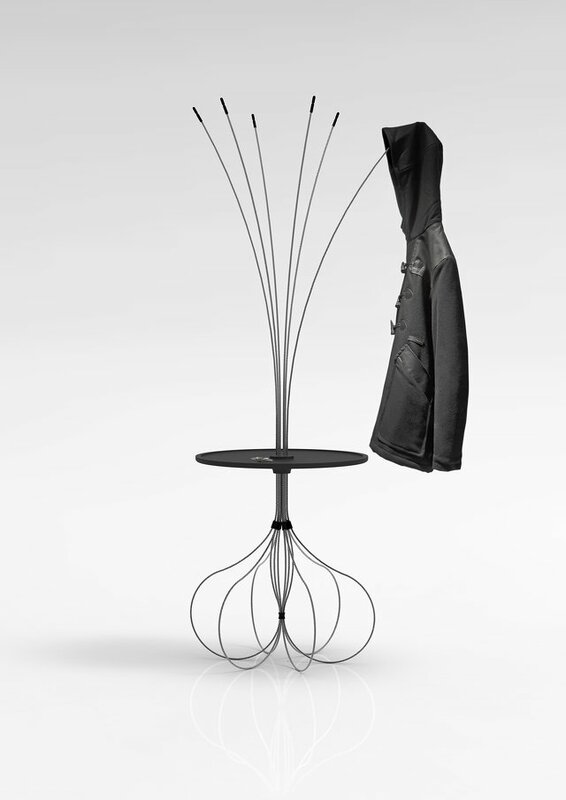 Onion is a coatrack, which uses the gravity and flexibility to make a balance and stability. Connections between the curved wires transform the flexibility into a stability by the weight of the clothes hanged on the coatrack.